Indie Author Interview of the Month–with Alexis P. Johnson! Home Interviews Indie Author Interview of the Month–with Alexis P. Johnson! Meridian the blacksmith, Keira the minstrel, Aurielle the alchemist, and Ivy the librarian, are four spirited and very different young women of Orion’s Court in the European nation of Laudeland. Knights, blacksmiths, and even a prince share in their daily adventures from woodland hunts to masquerade balls. But their peaceful existence is shattered when a ruthless villain from their past lays siege to their country in vengeance, transforming their lives forever. The ladies and their comrades are then thrown into an even greater conflict that will test the strength and endurance of each of them, yet the inner trials of their own hearts may prove to be even more challenging. As iron sharpens iron, the nation of Laudeland will need to unite, with honor and chivalry, as they face the storms of change. Alexis has been telling stories since she could speak, and writing them in prose and scripts since she was about 8 years old. Today, she aspires to be a champion for independently created and distributed media and arts. Alexis is a Christian Believer, dreamer, textbook ENFP, and all around super-nerd. She’s fueled by coffee, tea, and deep conversations. Though she dreams of one day living and working in the UK (or just about anywhere green and beautiful), she currently resides in the desert land of Arizona with her dear husband Eric and three rascally kitties. Hi Alexis! Tell us how you started out as a writer. I have been writing since I could hold a pencil, starting with poetry and short stories. Age 8 is when I really dove in, because that was when I had the revelation that I wanted to make movies. That has been my aspiration ever since. When I was 10, I wrote my first movie script on the very first computer my family ever owned. It ended up being about 20 pages long, (I still have it!) After that, I wrote a few more scripts and short stories and that has been my life ever since. Originally, it was written as kind of a fun in-joke between my two cousins and me to live out our girlish Jane Austen-esque fantasies. I wrote it when I was about 19-20 and self-published it when I was 21. The self-publishing sphere was pretty sparse back then, and I had no idea what I was doing. Additionally, I had no editing help or other guidance. Nothing came of my book, so I just let it lie. The thought of my novel always plagued me, though. I had this full story just sitting there doing nothing. I knew it was quite immature and silly and would need to be rewritten. In 2016, I finally began the task of rewriting it and shaping it into the story I wanted it to be. What was the biggest challenge you faced in getting the book written and published, and how did you overcome it? My challenges are the same as they are for most people, but the biggest was the editing process. I am NOT an editor and by rushing my editing/proofreading process, I made things harder for myself. I am grateful I have supportive family and friends who swooped in to help in this regard, and the final product will be all the better for it, but I really wish I had just slowed down and given myself the time I needed to get things right the first time. What's your favorite music to listen to while writing? Music is vital for every stage of my story development. It depends on the genre of the project. For Chivalry’s Children, I listened to many period piece film scores and video games scores. Skyrim was probably my favorite. YouTube provides a plethora of epic mixes that help me through long hours of writing. Who are your three favorite fiction writers? Tolkien is probably my favorite, but for me, it is more about the genre and story than the author. I love classics, swashbucklers, fantasies, and sci-fi best. Recently, I loved reading George R.R. Martin’s A Song of Ice and Fire series, and Megan Whalen Turner’s The Queen’s Thief series. One of the unique aspects of Chivalry's Children is its setting–a fictional country woven into real history. A number of your characters are from Armenia. What inspired you to incorporate this country into your novel? I love to travel and I love history. So many parts of the world are alluring to me. Armenia (and most of the Byzantine Empire) has always fascinated me for its combination of a Medieval European and Middle Eastern/Far Eastern aesthetic. Armenia is also a part of The Silk Road, where merchants and travelers brought goods from all over the continent to trade. There is also vast Biblical culture in Armenia too – very ancient and sacred ground. Some believe Noah’s Ark is there, but who knows. Though I do not follow history verbatim in my novel, I did use real events to inspire the fictional events. My story takes place during the Renaissance era, but I reference the migration of Armenians across Europe into Bruges (Belgium). This actually did happen in the 1300s, which is about 150-200 years before my story takes place. I also reference other historical contexts, but since I focus on my own country, with its own mysterious history, I do not stray too far away from the core setting. You know, I have read so many books, watched so many videos, and attended so many classes. After all that, I have found the best resource is a solid community of other creators. I am so glad to have found that in recent years via Twitter. Seeing what inspires others and how they overcome their creative obstacles is one of the best ways to learn. You can read every how-to or watch every tutorial, but at the end of the day, art begets art. Likewise, artists inspire and encourage other artists. Community is the key to success. What advice would you give aspiring authors working toward publishing their own books? DO IT! But please, learn from my mistakes and don’t rush yourself. If you need more time, take more time. Get outside editing and proofreading help. Be patient with the process, and with your own endurance. You've also written for films and TV. Care to tell us about those projects? This is actually my chief area of passion and pursuit. I went to film school and got my degree with emphasis in screenwriting, but I also enjoy directing too. I directed a couple of short films and co-wrote and directed a webseries. I have written a TV pilot (supernatural thriller) that I submitted to Amazon Studios. It was under review for about five months last year. Though it was ultimately given a pass, I am proud it made it as far as it did. I have a few more short film scripts, and I even wrote an episode for ABC’s Once Upon a Time (before the show went down the garbage shoot haha) and submitted that for a Warner Bros. TV writing contest. What are your future fiction-writing plans? Any teasers for your next project? I don’t have plans to write additional books at this point, but I never say never. I think it was important for me to finish Chivalry’s Children, and I am so glad I did. Novel writing is not my strength, but I think the experience of writing Chivalry’s Children has made me a better screenwriter. I can already tell the difference as I write my current project – a feature film script called The Guide. The Guide is a fantasy/fairy tale with protagonists in their 30s and 40s. I think that age group desperately needs to experience and believe in such stories more than any other. I am very excited about the world I am building for The Guide, and I am considering publishing it in eBook form so that I can garner audience perspective before it hits the screen. We’ll see! Thanks so much for doing this interview, Alexis! Readers, be sure to check out Alexis' website, follow her on Twitter, and look up her book on Goodreads. Don't forget, Chivalry's Children launches September 1! Next month, we'll be hearing from E.B. Dawson about her upcoming novel, The Traveler. Watch this blog for a cover reveal for that book very soon! 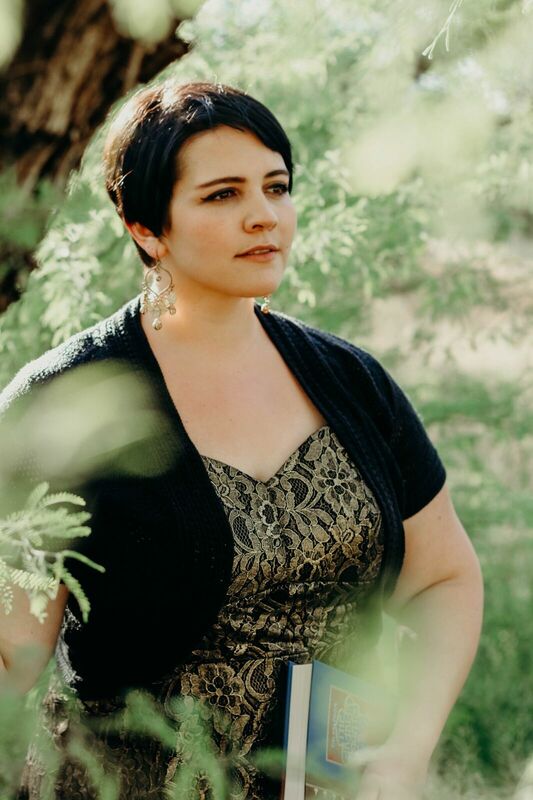 Those familiar with Heidi Lyn Burke’s writings know that she is the female Brandon Sanderson of the indie publishing world…. The 2018 Silmaril Awards: Announcing the Most Nefarious Villain! Announcing the Winners of The Beast of Talesend Giveaway! The 2018 Silmaril Awards: Vote for the Most Nefarious Villain!